Rakugo is a Japanese oral tradition that involves a lone storyteller narrating a tale?which runs the gamut from comedy to drama?by playing all the parts. In this episode, we will meet Shinoharu Tatekawa, a Tokyo-based rakugo artist who is trying to introduce his craft to a more global audience. Having spent many years living overseas, Shinoharu is fluent in English. 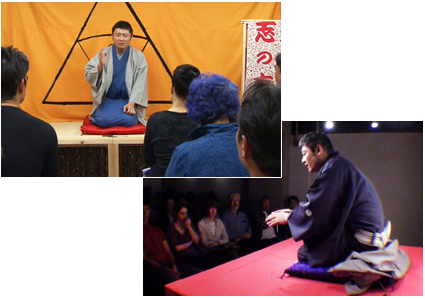 By performing rakugo in English?and not the colloquial Tokyo-speak that it is usually performed in?he hopes that this art form will find an audience among people of other nationalities as well. However, wordplay is a crucial element in rakugo; how does one go about translating it for a non-Japanese audience? As we follow Shinoharu, we will see the passion and creativity that he brings to his attempt to spread this uniquely Japanese form of entertainment around the world. In this segment, we will be walking around Kagurazaka, an entertainment district in central Tokyo that overflows with a sense of history. There are confectionary shops that have been running for centuries, as well as shops selling items based on classic Japanese motifs. Traditional Japanese homes line the streets, while geisha acts can be enjoyed at some of the establishments. Yet, there are some Western elements as well, such as cobbled alleyways. This fusion of Japanese and Western aesthetics is what defines Kagurazaka. 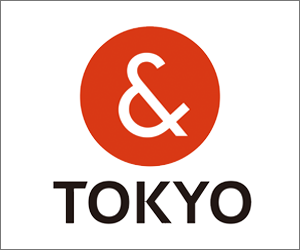 We will visit Human Rights Festa Tokyo, an event organized by the Tokyo Metropolitan Government to promote a more multiculturally symbiotic society. Symposiums, exhibitions, and other events were held during the three days of the event to offer visitors insight into the lifestyles and cultures of people from other countries, as well as people with mental and physical disabilities. The event is just one aspect of the efforts to make Tokyo welcoming to anyone, no matter who they are or where they are from.